Since January, Vitabu Reads has reviewed a number of study abroad books. They include two best sellers in the Sierra Leonean Writers Series: Abdul B. Kamara’s Unknown Destination and Osman Alimamy Sankoh’s Hybrid Eyes: An African in Europe. Both books had reflections of the authors on culture, identity, and experiences of their time abroad before returning to Africa. 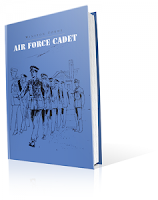 In Winston Forde’s Air Force Cadet, the author takes a different route. On his blog, Forde says he first started writing while based at Royal Air Force (RAF) Khormaksar from 1965 to 1967. RAF Khormaksar is a former Royal Air Force station in Aden, Yemen. When we meet Air Force Cadet’s main character, Ola, he is about to end his schooldays at the Prince of Wales. Prince of Wales is a secondary school in Freetown, Sierra Leone. The school was established on April 6, 1925, and is one of the nation's top schools. In Air Force Cadet, Ola is a teenager in mid-1960s Sierra Leone. It’s a few years after flag independence from Britain, and Ola is applying for a very competitive cadetship at the Royal Air force College, Cranwell in Lincolnshire, U.K. Soon after his acceptance by a selection board in Sierra Leone, Ola travels to Europe, experiencing strange weather and alien customs for the first time. Ola has little time to adjust, before arriving at college to start his three-year training as a Flight Cadet. “Ola’s experiences whilst flying in trainer aircraft or in gliders, his comradeship, and achievements gained through discipline and determination would leave any young reader wanting more,” says another reviewer. Winston Forde commissioned in 1962 as a pilot officer in the Admin (Sec) Branch of the Royal Air Force. (RAF). He retired from regular service in 1994. As a Squadron Leader in the RAF Reserve, he worked with cadets of the Air Training Corps as Wing Executive Officer Headquarters Surrey Wing Air Training Corps until February 2010. 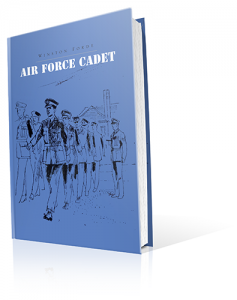 “Ironically, Winston ends his career working with young cadets in the Air Training Corps who would find this book riveting,” a reviewer says. Click here to learn more about Winston Forde books.